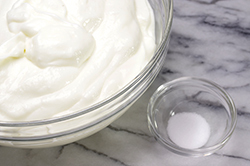 Yogurt has a wonderful savory side that often is ignored. A great example of this is labneh, (pronounced LEB-neigh), a strained version of yogurt that becomes very thick and spreadable with the consistency of cream cheese. 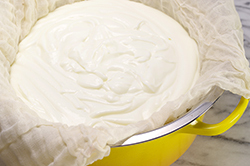 Labneh has a lower fat content than cream cheese or sour cream making it an excellent, high protein substitute. In this recipe’s use of labneh, baguettes are toasted, slathered with the ultra-thick yogurt, and topped with quartered tomatoes dressed in a tangy vinaigrette. These layered toasts make a great appetizer, or in larger form, the perfect lunch! 1. 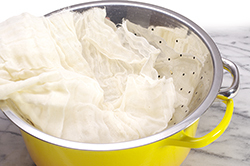 To make the labneh, line a large strainer or well-pierced colander with a layer of coffee filters or cheesecloth. Place the strainer or colander over a larger bowl. Add the yogurt to the strainer, cover and let drain for 24-48 hours on the countertop or chilled in the refrigerator. Apply weight to the top of the yogurt to speed draining. Watery whey will drip away leaving a very thick yogurt with the consistency of cream cheese. 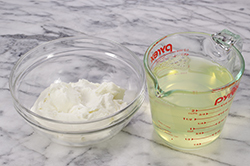 When the desired thickness is reached, transfer the labneh to a storage container, whisk in the olive oil and a pinch of salt. 2. 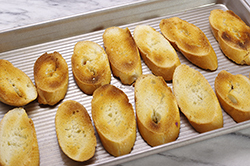 To make the bruschetta, slice a baguette on the diagonal in 3/8-inch slices. Place on a baking sheet in a single layer and toast in a 375°F oven just until the bread begins to show a golden color. 3. Quarter the tomatoes and toss with the vinegar, garlic, olive oil, salt, and pepper. 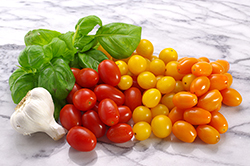 Prepare the shreds of basil by stemming and stacking the leaves, rolling and slicing crosswise. 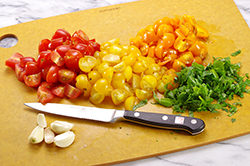 Toss with the tomatoes immediately before serving. 4. 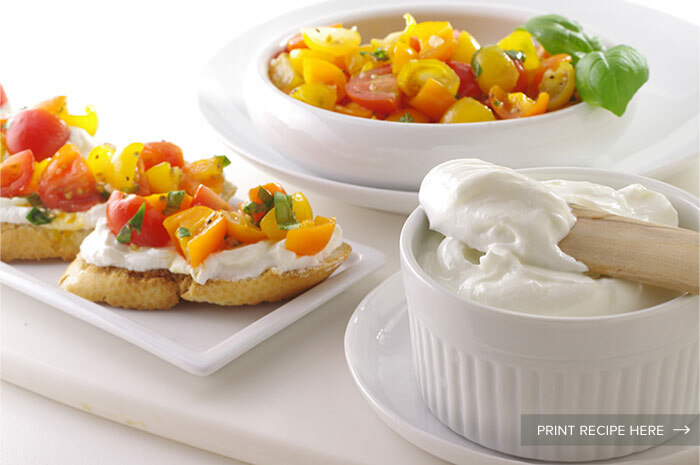 Slather a generous layer of labneh on the freshly toasted bread, top with a spoonful of the dressed tomatoes. Serve immediately.